The Department of Civil and Census Registration and the Department of Immigration, both under the Ministry of Home and Cultural Affairs, now have a new office building. 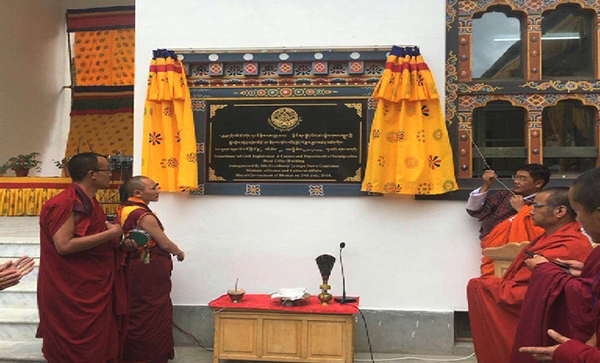 Located in Kawajangsa in Thimphu, the newly built office was inaugurated yesterday. Until now, the two offices were located separately. The Department of Civil and Census Registration was housed in Tashichhodzong, while the Department of Immigration was located in Chubachhu. The separate locations presented numerous challenges to the staff as well as the public in providing and availing census and immigration related services. Space congestion was another problem at the old office spaces. But now with the new office, which is spacious and equipped with better facilities, the two offices expect to be able to provide better and faster services.